All Good Dogs Deserve Good (La Lune) Dog Beds! Posted November 26, 2014 by La Lune Collection & filed under Rustic Beds, Rustic Bunk Beds, Rustic Furniture. Since 1978, La Lune Collection has been making fabulous beds for some of the most notable humans in the country, such as Ralph Lauren, Oprah, and Disney. At La Lune, we think that good dogs also deserve good beds! Our collection of adorable dog beds is the most comfortable, most natural, most durable, most attractive, and most eco-friendly dog beds possible. 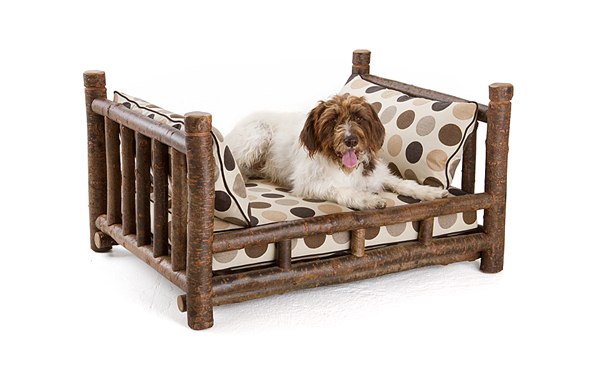 If we were dogs, we’re absolutely certain that these are the beds we would choose for napping! 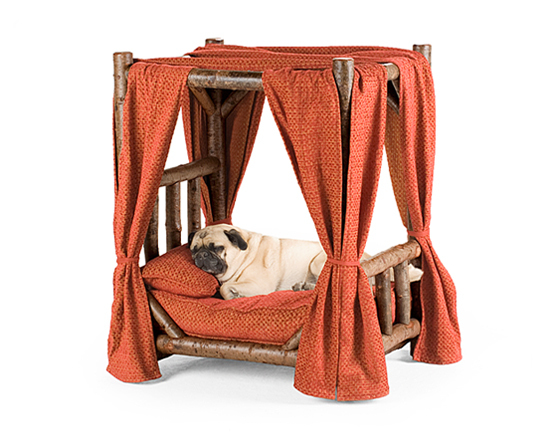 Any sweet pooch would sleep soundly in this charming Dog Canopy Bed #5110, which is carefully handcrafted of poplar, a fast-growing, environmentally secure wood. La Lune uses only non-pollutant, nonflammable, non-toxic, water base finishes, making our dog beds the most eco-friendly possible. 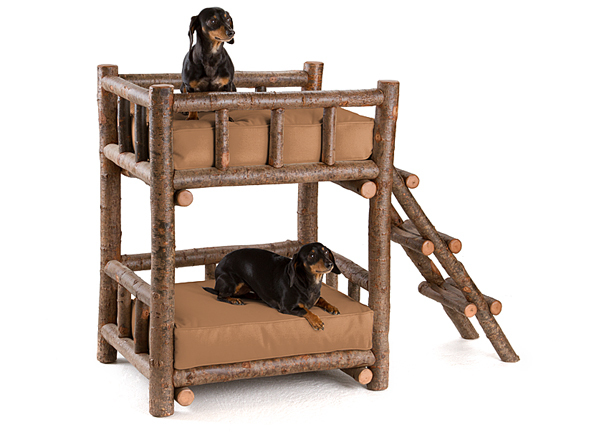 When two dog friends want to rest together, Dog Bunk Bed #5134 is the natural choice to accommodate their wishes! 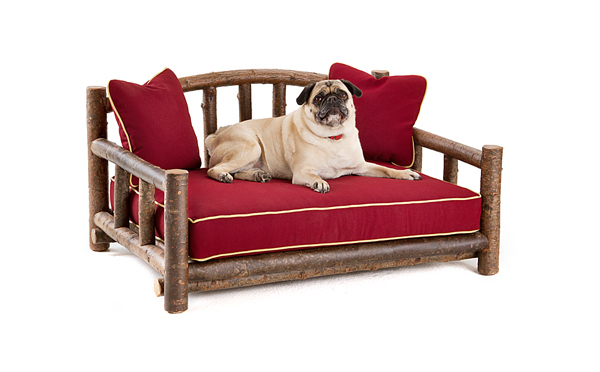 Featuring a gently curved back and comfortable mattress and throw pillows, the stylish Dog Daybed #5102 has Bella the Pug sitting pretty! 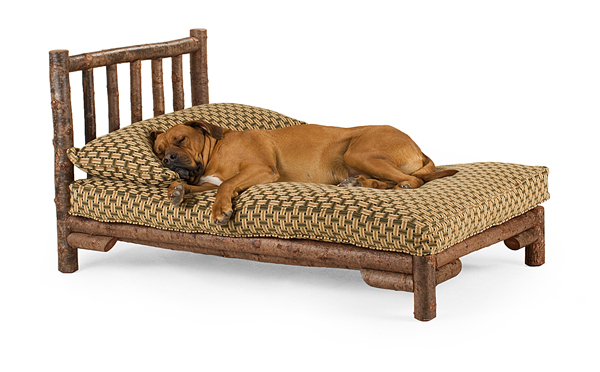 The classically beautiful Dog Daybed #5162 is carefully handcrafted of poplar, and as with all of La Lune dog beds, includes a handsewn mattress and pillows with removable zippered covers for easy washing. 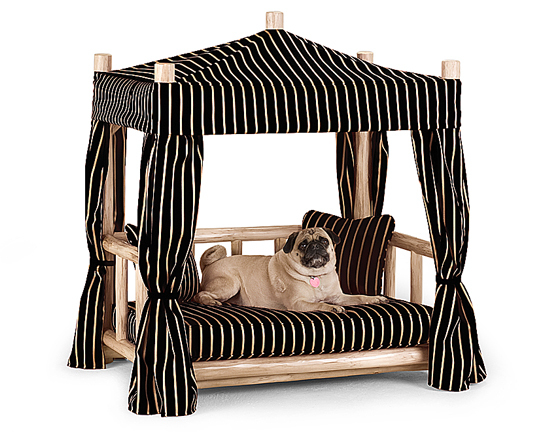 The weather is always beautiful for any precious pup lucky enough to relax in the beautiful Dog Cabana Bed #5120! It’s common knowledge that a chaise is intended for relaxing – and no knows this better than Rocky the Mastiff, who is clearly enjoying a nap on his own Dog Chaise #5146.